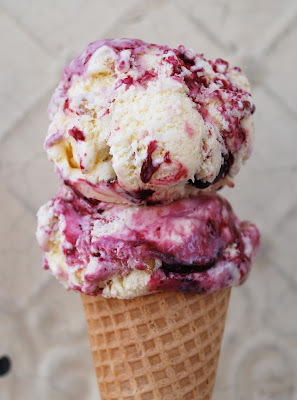 A smooth, vanilla flavored ice cream swirled with a black raspberry ribbon and loaded with cashews"
Mmmmmmmm......anyway I digress - and I am in danger of dribbling on my keyboard! I've been wanting to have a go at ATCs for a while now, so I decided I'd try and produce one for each of these six weekly challenges. Not sure how successful they are so far, but I'm having a lovely time! I got really messy with gesso, tissue, inks and liquid pearls for this one. I've also started working on a little fold-up book to put them all in at the end. Very pretty - love all the different textures..
You shouldn't be embarrassed, I learned last year (my first summer of color challenge) that it doesn't matter what your ability or strengths, everyone enjoys seeing what others have made. Come by for a visit! I think you got the colours just right there!! LOVE what you created here!